Whether you live outside of our area or are in need of additional support, please take a look at the following resources that offer support in a variety of ways both on a local and national scale. We hope that some of them can be helpful to you. Unite For Her helps women battling breast cancer focus on wellness initiatives to generally improve health. The organization also provides different grants to ease the financial stress that comes with a cancer diagnosis. CancerCare®: Founded in 1944, CancerCare® is the leading national organization providing FREE support services to help people manage the emotional, practical and financial challenges of cancer. The comprehensive services include counseling/support groups over the phone, online and in-person, and financial/co-payment assistance. All CancerCare® services are provided by professional oncology social workers. Funding for pain and anti-nausea medication, oral hormonal medication, lymphedema support and durable medical equipment is available for women and men with breast cancer. Educational Seminars, Scholarships, and much more! Office hours are Monday and Friday, 9:00AM – 12:00 noon; Wednesday, 1:00PM – 4:00PM. They often have extended hours. Call and they will answer if in the office. Lower Bucks Hospital: A breast cancer support group for the newly diagnosed as well as breast cancer survivors. Guest speakers are featured several times during the year. St. Mary Medical Center: A breast cancer support group for women living with breast cancer. Come share your feelings, laughter, and tears with other women who have had similar experiences. Refreshments are provided. The Cancer Center of Paoli Hospital: A breast cancer support group for all women experiencing breast cancer. There are also alternate speakers with open discussion. When? 3rd Thursday of each month from 7:00 to 8:30 PM. Living Beyond Breast Cancer (LBBC): LBBC is dedicated to assisting you, whether you are newly diagnosed, in treatment, recently completed treatment, are years beyond, or are living with metastatic breast cancer. They are also there for your family members, caregivers, friends, and healthcare providers to provide breast cancer information and support. Self Help Group: FREE monthly support group meetings offer information, peer support, encouragement and renewal through presentations by survivors. Locations are on the website. Community Outreach and Education: Presentations and information presented at health fairs, community events, schools, senior centers and churches, as well as literature sent monthly. Support Services: Encouragement, information and assistance in the form of phone calls, hospital visits, home visits, cards, flowers, and small gifts to women diagnosed with breast cancer. Special Events: WOFAH hosts an annual conference, Celebration of Life: Sisters Surviving Breast Cancer. Through focus groups, seminars, and panel discussions, this event unites breast cancer survivors, health care professionals, politicians, community activists, and others to discuss breast health. Facing Our Risk of Cancer Empowered (FORCE): FORCE is the only national non-profit dedicated to women with hereditary breast and ovarian cancer. 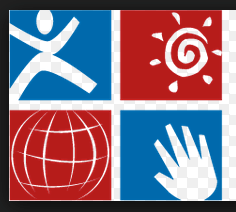 Local Outreach groups in regions of the US that offer peer support and share resources. Be Empowered Webinars (on-line seminars) that feature presentations by experts. Free Brochure Distribution about FORCE and hereditary breast and ovarian cancer. Toll-free Helpline answered by trained volunteers with the option of asking a board-certified genetic counselor about general genetic questions. Linda Creed was the first free-standing breast cancer organization in Pennsylvania. The organization empowers women and their families to talk about breast cancer, learn about it, and take control of their health and their lives. They are dedicated to the early detection and treatment of breast cancer, with the goal of reducing unnecessary suffering and death associated with this disease. Linda Creed’s core program is to provide free mammography screenings for women with little or no medical insurance. The mission of Linda Creed is to fight breast cancer with heart through community-based education and referral, support, advocacy and direct service for those who need us. Seeking increased governmental funding for breast cancer research. The Tyanna Fou ndation honors a mother’s life, love, and living legacy. Tyanna Barre O’Brien lost her battle with breast cancer in 1990 at the tender age of 48. Her legacy continues today through the work of her daughters Anne, Bridget, Megan, Sara & Kate O’Brien, the founders of BreastFest. Treatment and patient care for local breast cancer patients and survivors. The PA Breast Cancer Coalition represents, supports and serves breast cancer survivors and their families in Pennsylvania through educational programming, legislative advocacy and breast cancer research grants. The PBCC is a statewide non-profit organization that creates the hope of a brighter tomorrow by providing action and information to women with breast cancer today. The Nationa l Breast Cancer Foundation’s (NBCF) mission is to provide help and inspire hope to those affected by breast cancer through early detection, education, and support services. 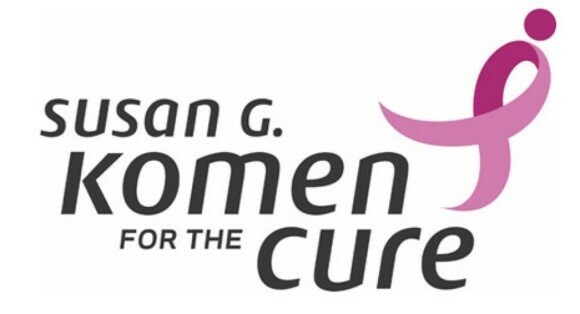 Susan G. Komen Northeastern Pennsylvania’s mission is to provide funding for breast health services, breast cancer education and outreach in their 19 -county region. Susan G. Komen is the world’s largest breast cancer organization, funding more breast cancer research than any other nonprofit, while providing real-time help to those facing the disease. Beyond October accepts new and gently used compression garments such as bras, sleeves, gloves, and other prosthetics (bra forms) to refurbish and redistribute them FREE to Survivors in need with the proceeds from the T-shirts they sell. They want to help women with little or no insurance get the supplies they need to recover for FREE! A little prosthetic goes a long way to help a woman look and feel great! The Brem Foundation maximizes every woman’s chance of finding an early, curable breast cancer by providing expert education to women between the ages of 30-64 in the Washington D.C. area about risk factors, screening options, self-advocacy, and physician training. Education: B The Cure: Breast cancer screenings must be based on each woman’s individual risk factors. There is no “one size fits all approach.” Brem’s B the Cure program holds breast health events, led by Expert Educators, at community organizations, corporate offices and religious institutions. This life-saving curriculum teaches women about their real risk factors, corresponding screening options and the need to advocate for themselves. In 2015 the Brendan Borek Endowed Fund was established at The Children’s Hospital of Philadelphia. The endowed fund provides services to Cape May and Atlantic County pediatric cancer patients and their families. These “access to care” services include but are not limited to Food, Travel, Hotel and other services during the child’s illness. This endowed fund guarantees access to care to present and future generations of ill children. If you would like to contact us please send us an email to bren@brendansfund.org, or call us at 609.967.0100. Please leave your name, phone number and email address so that we may respond to your inquiry. Michael’s Way: The mission of Michael’s Way is to help the families of children with cancer to cope with the extraordinary expenses that come about as a direct result of the child’s illness. Funding is provided up to $3,000 for non-medical bills. Kelly Anne Dolan Memorial Fund: The Kelly Anne Dolan Memorial Fund advocates for families with seriously ill, physically and cognitively challenged, or severely injured children nationwide through information and education. Financial assistance for needs not covered by insurance is provided to families whose children are living in or cared for in Pennsylvania, New Jersey, or Delaware. Do I Qualify? If you answer “yes” to each of the following requirements, you may be eligible for the program. My child is currently experiencing an illness or injury that is causing a financial need. My child is under the age of 18. I am (or one of my child’s primary caregivers is) employed OR have recently had to leave a job due to my child’s illness. My child is receiving treatment (not necessarily inpatient) at an area hospital. Note: Fred’s Footsteps does not provide funding for credit card bills or medical bills and all applications must be submitted by a hospital social worker. Applications submitted by social work interns must be cosigned by a social worker in the department. Requests for help are typically made through the family’s hospital-assigned social worker, and the family is informed that they are providing assistance. 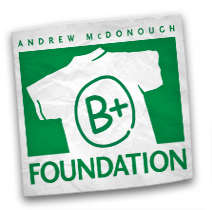 B+ FOUNDATION: The B+ Foundation provides financial and emotional support to families of children with cancer through The B+ Family Assistance Program. The program helps pay bills directly attributable to the child’s illness. They have helped thousands of families nationwide with over $1,000,000 in assistance in the last two years. To apply, fill out this form: http://bepositive.org/need-help/ and mail it to: The B+ Foundation, 101 Rockland Circle, Wilmington, DE 19803. 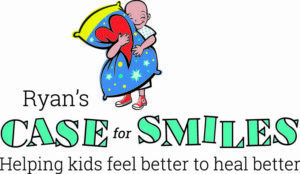 Ryan’s Cases for Smiles is a national organization that serves NJ, DE and PA by brightening the hospital stay of children who are being treated for cancer and other life changing illnesses and injuries. Services include cheery pillowcases for children and resources for caregivers to their family to cope with a diagnosis, treatment and beyond. Contact info depends on chapter. Ron ald McDonald Camp: Located in the Pocono Mountains, three hours outside of Philadelphia, the Ronald McDonald Camp is a place where kids with cancer, and their siblings, can enjoy a week of summer camp. Activities include swimming, hiking, sports, arts and crafts, music, yoga, cooking, and more. The programs are intentionally designed so that campers can participate regardless of the challenges they face or limitations they have. The camp is FREE for any former or current patient. A donation of $150 is requested for siblings. Staff members are older than 20, with a median age of 35. About 20% of the staff is former campers and all are positive role models. A full team of medical and psycho-social staff from CHOP is at the camp. Dates differ every year, but the camp is in August. 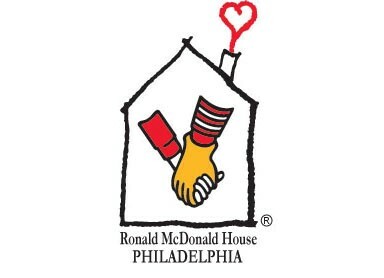 For exact dates and more information, visit here: http://www.philarmh.org/our-programs/ronald-mcdonald-camp/. Request a room here: http://www.philarmh.org/staying-with-us/request-a-room/. Alex’s Lemonade Stand Foundation(ALSF) shares the vision of our founder and creator, Alexandra “Alex” Scott- a cure for all children with cancer. To raise money and awareness of childhood cancer causes, primarily research into new treatments and cures. To encourage and empower others, especially children, to get involved and make a difference for children with cancer. Have questions about any of ALSF’s childhood cancer programs or resources? Contact Shirley Moy-Lau at (866) 333-1213 or by email at Shirley@AlexsLemonade.org. Arms Wide Open Childhood Cancer Foundation’s mission is to promote and advance the science and art of medicine related to the study of pediatric cancer cells and related structures, to support and enhance education in pediatric oncology fields, to support and enhance pediatric oncology research and in allied fields, to facilitate, improve prevention, diagnosis and treatment of disorders affecting pediatric cancer cells and related structures and doing and engaging in any and all activities that may be necessary or incidental to any or all of the foregoing purposes. The “J” Foundation, Inc. is a 501 C-3 non-profit corporation of the state of Pennsylvania that promotes, protects, and sustains the physical, mental, emotional and behavioral health of terminally ill children and adolescents. Further, they support families with end of life care expenses. Paying their mortgages, utility bills, taxes, automobile repair costs, expenses for transportation to and from treatment facilities, and other necessary expenses. Providing financial support for medically-necessary home improvements, such as wheelchair ramps and electrical upgrades. Funding counseling services for families with sick children, both before and after the death of the child. Click here to download an application for assistance. Alicia Rose Victorious Foundation (ARVF) is a 501 C-3 non-profit organization that works on a national level to bring hope, comfort, and happiness to hospitalized teens. Teen Kits: a unique amenity provided to any adolescent (ages 13 & up) who is hospitalized for any critical & life threatening condition. The cinch bags are filled with over 12 items to entertain their in-patient stay. The kit also includes a comfortable and fun Bandana Pillow for their bed and for them to take home as well. Teen Lounges: ARVF funds Teen Lounges in children’s hospitals designed to enhance the quality of life for adolescents undergoing in-patient treatment. A Teen Lounge is a special place designed to help patients take a welcome break from their treatment and a way to meet others their age. Teen Lounges include board games, computers, big screen TV’s, pool tables, gaming systems, age-appropriate furnishings and much more. Enhancements & Activities: ARVF funds special social events such as: Bingo Nights, Teen Proms, Pizza Parties and other creative in-hospital activities for teens. These activities help encourage patients to escape the isolation of their patient rooms and gives hospitalized adolescents the ability to socialize with other teen patients that are dealing with the same struggles. Horse Power for Life is a non-profit 501(c)(3) organization in Chester County dedicated to improving the physical and emotional quality of life for individuals of all ages who are diagnosed with cancer, by providing a 16-week therapeutic and educational horsemanship program. 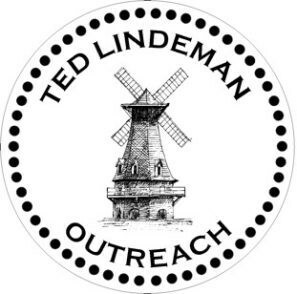 Ted Lindeman Outreach Foundation: “The most authentic thing about us is our capacity to create, to overcome, to endure, to transform, to love, and to be greater than our suffering.” The non-profit organization provides day-to-day financial assistance to those who have lost a spouse with dependent children under the age 18 in Bucks or Montgomery County. Eligibility is for a period up to and including 3 months immediately following spouses passing. Expenses that will be included will be child care, utilities, mortgage, car payments, insurance, and phone bills up to $50.00. Credit cards will not be covered. All bills will be decided upon at board of trustees’ discretion. The maximum monthly allowance is not to exceed $3,000. This amount will be based on the board of trustee’s decision. $9,000 is the maximum amount to any one applicant. Final amount distributed is at the sole discretion of the board of trustees’ decision. All pertinent documents will be required, including birth and death certificates, and a copy of W2 to show dependency of child/children (any other documents the board sees fit). All requests for payments must be supported by appropriate and official documents. Note: A one-time only application will need to be provided. Applications available upon request. Volunteers are on hand to provide assistance. Apply here: http://tedlindemanoutreachfoundation.com/wp-content/uploads/2012/06/GrantApp.pdf. The Breathing Room Foundation: The mission is to provide care and support to local families affected by cancer. They recognize that a cancer diagnosis affects every aspect of a family’s life; emotional, physical, spiritual and financial. They strive to provide a family with whatever it is that will allow them a bit of “breathing room” from their daily struggle. Utility Emergency Services Fund (UESF): By focusing on the need for utility assistance as part of a larger housing stabilization issue, UESF has recently expanded its scope to assist vulnerable families with rent, mortgage and security deposits as well as provide ongoing self-sufficiency training to help families preserve their housing. CancerCare®: Founded in 1944, CancerCare® is the leading national organization providing FREE support services to help people manage the emotional, practical and financial challenges of cancer. The comprehensive services include counseling/support groups over the phone, online and in-person, and financial assistance. All CancerCare® services are provided by professional oncology social workers. The grant application is only considered if the applicant is initially referred by a healthcare professional (physician, nurse or oncology social worker). All communication will be with the referring healthcare professional, not the patient. Applications can be downloaded here: http://headstrong.org/hf-services/financial-assistance/. They should be mailed to: HEADstrong Foundation 232 Green Avenue, Holmes, PA 19043. The Blue Note Fund, through the Colon Cancer Alliance provides one-time grants up to $300 for a patient currently receiving colorectal cancer treatment. 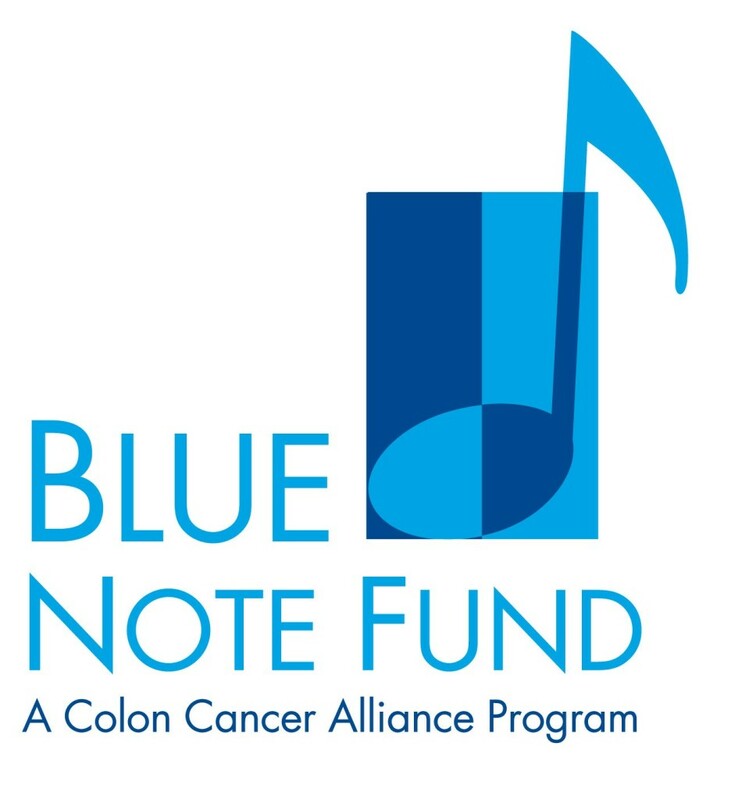 Blue Note Fund provides financial assistance to colon cancer patients in need. The Blue Note Fund is the collaborative effort of the Colon Cancer Alliance and Grammy nominated producer/artist/musician Charlie Kelley, who was diagnosed with colon cancer at age 40 and knows firsthand of the financial burden a cancer diagnosis can carry. Fill out an application here: http://www.ccalliance.org/bluenotefund/newapplication.html. Download, complete, and mail or fax the following application: http://www.meredithsmiraclesfoundation.org/images/stories/grant%20application%202014.pdf. Patient Access Network Foundation (PAN): PAN financially assists patients with cancer, allowing them access to otherwise inaccessible breakthrough medical treatments. Funding is awarded based on diagnosis. Patient is insured and insurance covers the medication for which the patient seeks assistance. Patient’s income must be below a designated percentage of the Federal Poverty Level, depending on individual fund requirements. Patient is prescribed a high cost drug for the disease, depending on individual fund requirements. Patient must reside and receive treatment in the US. All assistance programs and applications can be found here: https://www.panfoundation.org/disease-funds-main-page. Patient Ad vocate Foundation (PAF): PAF offers a co-pay relief program. Patient must have a confirmed diagnosis of the disease/illness for which they seek financial assistance. Patient’s income must fall below 400% of the Federal Poverty Guideline with consideration of the Cost of Living Index and the number in the household. Be receiving treatment in the U.S. Note: If you have private insurance, first contact the drug company that manufactures your medication before contacting CCPAF. If uninsured, you are not eligible. To apply, you must fill out and sign the HIPAA Authorization form as well as provide proof of income. You can call the Co-Payment Specialist, mail in downloadable forms, or enroll here: http://portal.cancercarecopay.org/Enroll-Now/EnrollAsPatient. You will always know the same day whether you’ve been approved. 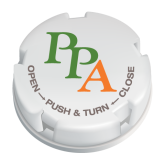 Partnership for Prescription Assistance (PPA): The PPA works to help qualifying patients secure the prescription medications that they need for low- or no-cost. Begin here: https://www.pparx.org/en/gethelp/select-therapies. 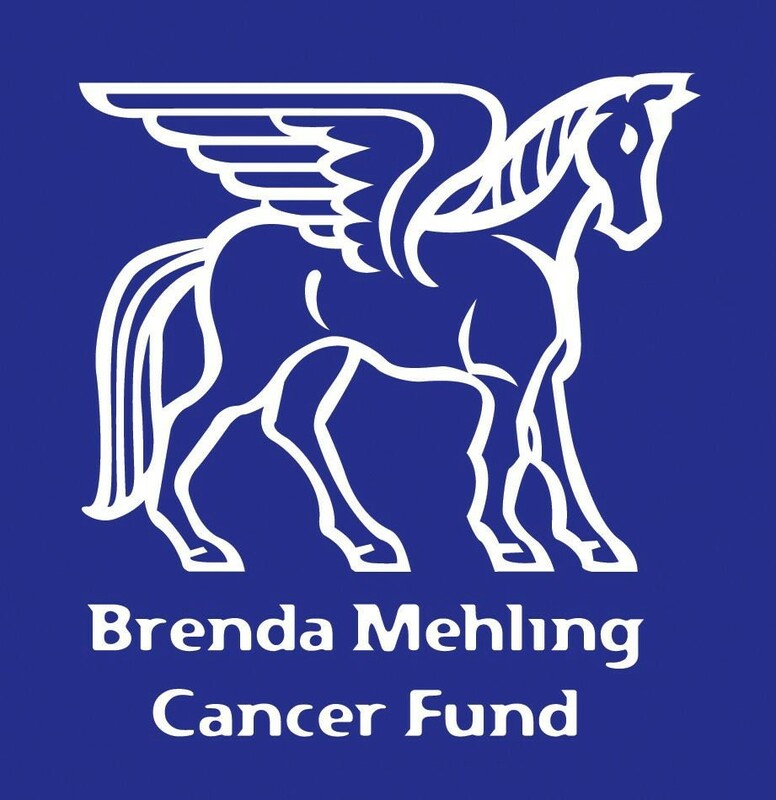 Brenda Mehling Cancer Fund: Located in California, the Brenda Mehling Cancer Fund provides financial service for young adults (ages 18-40) battling cancer across different states. The typical grant is $500 for daily living expenses, including co-payments. 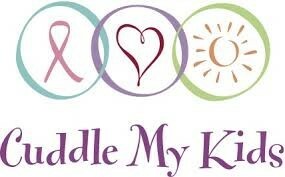 Cuddle My Kids: Cuddle My Kids provides FREE and IN-HOME support for families battling cancers. Each program is usually 90 minutes, twice a week for six weeks; families are welcome to re-enroll. Team Children: Team Children provides a financially disadvantaged child with a refurbished computer at a discounted price ($75-200) through the Digital Inclusion project. Cradles to Crayons: Cradles to Crayons provides the clothes, shoes, books and school supplies that struggling children need to succeed. Located in Boston and Philadelphia, this organization aids on low-income families, including families financially struggling due to a cancer diagnosis. Baby Manna is a yearly fund drive on Mother’s Day weekend that raises money to help caregivers in the Delaware Valley provide formula and food for the children they look after. For more info, e-mail: babymanna@philabundance.org. 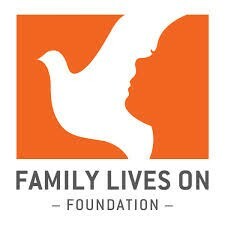 Family L ives On Foundation: Family Lives on Foundation brings joy and comfort to children, teens and their families by helping them continue cherished traditions. Family Lives On Foundation has two Tradition Fulfillment SM Programs: “Mommy’s Light:” for families in which a mother is terminally ill or has died. “Daddy’s Light:” for families in which a father is terminally ill or has died. Key Initiatives: (1) FREE Traditional Fulfillment services to eligible children and teens. (2) The development and distribution of bereavement education and outreach materials targeting grieving children and the adults who are likely to interact with them. They are 3 and younger than 18 years old. Their mothers or fathers are terminally ill or are deceased. Their families must directly request Family Lives On’s support. Sandy Rollman Ovarian Cancer Foundation: Sandy Rollman Ovarian Cancer Foundation’s mission is to unite with the community to work together to promote awareness of ovarian cancer by educating both women and physicians about the disease, to advocate for early diagnostic testing and more effective treatments and to raise funds to help advance research towards a cure. The goal of the With a Little Help From Her Friends Support Program is to ensure that every ovarian cancer patient gets the support they need and deserve. The Brea thing Room Foundation: The mission is to provide care and support to local families affected by cancer. The foundation recognizes that a cancer diagnosis affects every aspect of a family’s life; emotional, physical, spiritual and financial. They strive to provide a family with whatever it is that will allow them a bit of “breathing room” from their daily struggle. For P ete’s Sake: For Pete’s Sake is a non-profit organization that assists adult cancer patients, their caregivers and loved ones. For Pete’s Sake Cancer Respite Foundation enables cancer patients and their loved ones the opportunity to strengthen, deepen and unify their relationships by creating unforgettable and lasting respite vacations. Eligible patients, along with their caregivers, receive a one-week expense-paid excursion to select vacation locations along the East Coast and in the Caribbean. Note: preference is given to patients who reside in PA, NJ or DE. 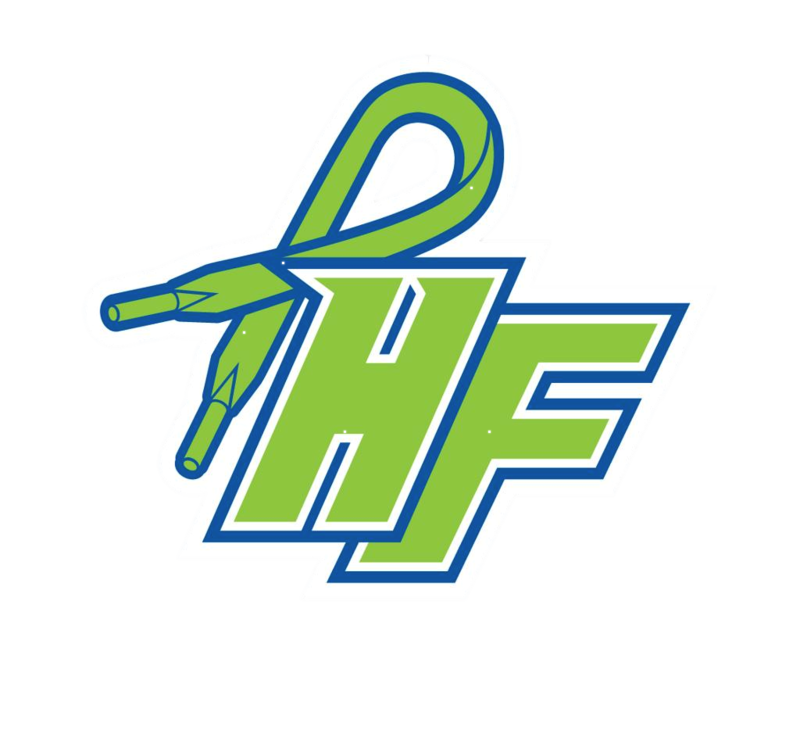 HEAD strong Foundation: The HEADstrong Foundation provides peer support for newly diagnosed patients, allowing them to connect with a network of cancer patients and survivors through the HEAD2head program. If interested in getting connected, fill out the form here: http://headstrong.org/hf-services/head2head-peer-support/. 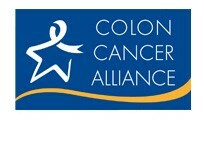 Chris4Life: A t Chris4Life, they believe no one should have to go through colorectal cancer treatment alone. COLONTOWN is an on-line forum where patients can connect with other patients and survivors of colorectal disease. Colon Ca ncer Alliance (CCA): Through the Buddy Program, the CCA matches new patients with a buddy who has been through the colorectal cancer journey before. Buddies are matched by age, gender, stage of diagnosis, and primary concern. Cancer Support Community: The Cancer Support Community works to ensure that all people impacted by cancer are empowered by knowledge, strengthened by action, and sustained by community. Today, CSC provides the highest quality emotional and social support through a network of more than 50 local affiliates, 100 satellite locations and online. Note: In July 2009, The Wellness Community and Gilda’s Club Worldwide joined forces to become the Cancer Support Community. Contact info depends on location. The American Cancer Society: I Can Cope ® Online: I Can Cope® is a free online educational program for people facing cancer and their families and friends. The program is comprised of self-paced classes that can be taken any time, day or night. Take as few or as many classes as you like. Metropolitan Area Neighborhood Nutrition Alliance (MANNA): A non-profit organization, MANNA cooks and delivers nutritious and medically appropriate meals up to 3 times a day for 7 days a week. MANNA serves families battling cancer in the Greater Philadelphia are and Southern New Jersey for FREE. The organization also provides nutrition counseling to help increase the health and wellness of a cancer patient. Fill out a referral form to see if you are eligible: http://www.mannapa.org/wp-content/themes/MANNA-Firefly-Theme/pdf/ReferralFormRevised2012.pdf. Mail to: MANNA Client Services, 2323 Ranstead Street, Philadelphia, PA 19103. Fresh For All is a type of farmer’s market that reliably provides fresh produce weekly. 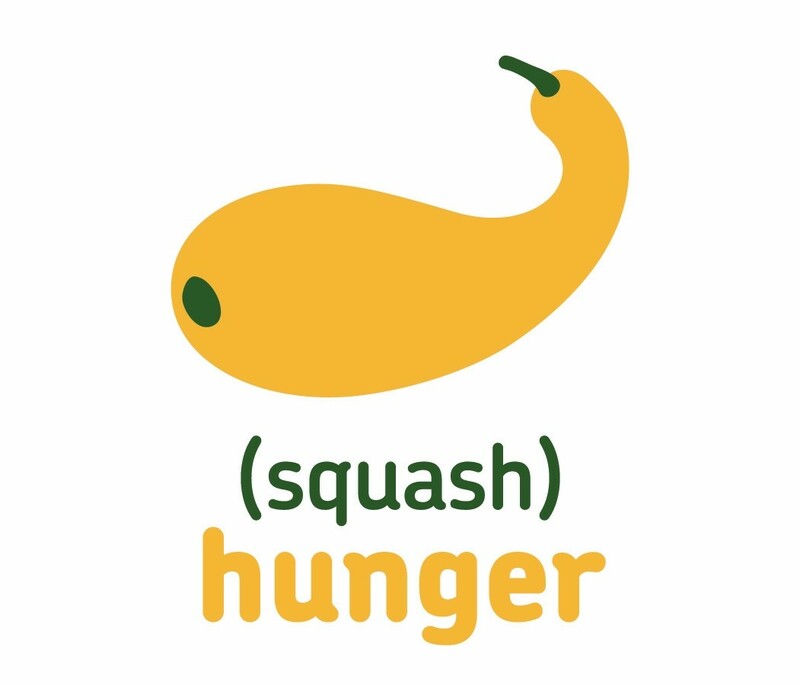 For exact times and locations, look here: http://www.philabundance.org/programs-2/fresh-for-all/. Food Helpline is resource for people in need of food to find food assistance near them. Call 800-319-FOOD (3663) to speak to a bilingual staff member Monday – Friday, 8:30 AM – 4:30 PM. Grocers Against Hunger works with grocery stores to avoid food waste while feeding neighbors who need it most. Greater Philadelphia Coalition Against Hunger: The Coalition connects people with food assistance programs, nutrition education, and a network of food pantries to diminish hunger in the Greater Philadelphia area. If you need help buying groceries, call the SNAP hotline to see if you are eligible for food stamps: 215-430-0556. Find the nearest food pantry on this map: http://www.hungercoalition.org/pantry-map. 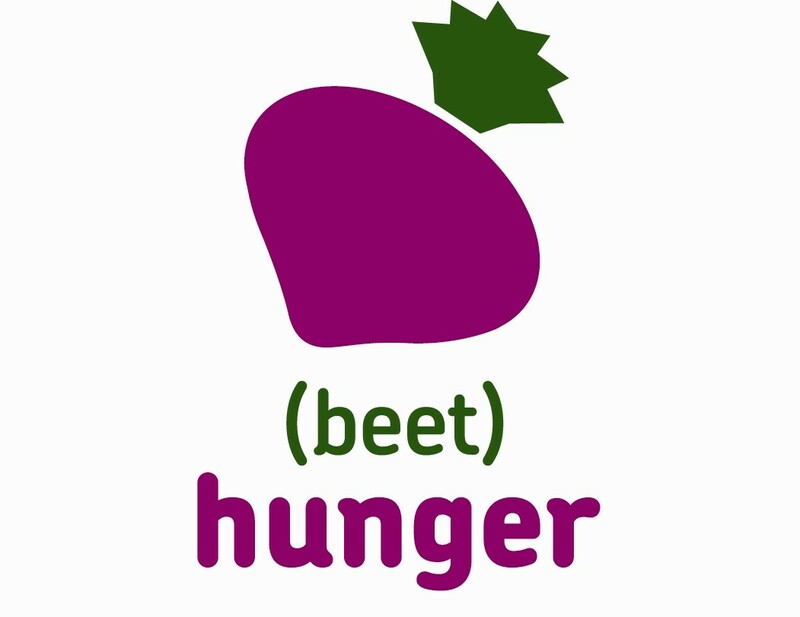 Find free meals organized by day of the week here: http://b.3cdn.net/phillyhunger/65b4add03c734f9f93_adm6bvohw.jpg. Project HOME: Project HOME offers health services and healthcare guidance to struggling, homeless or previously homeless individuals. St. Elizabeth’s Wellness Center offers primary medical care (including colon cancer screening), psychiatric services, nurse care management, individual, couples and group counseling, and peer-led outreach and care coordination. The Nurses and Medical Assistants are skilled providers who help patients understand their care plans and navigate the complex health care system. Call 215-235-3110 to make an appointment and to find out if your health insurance is accepted. Open Monday – Friday, 8:30 AM – 5 PM. For those without insurance, there is a sliding fee Contact Brian Bolton at 215-125-3110 ext. 5636 for more information. Located at 1845 N. 23rd Street, between Montgomery Avenue and Berks Street in Philadelphia, PA 19121. Hope L odge: Hope Lodge is a FREE and supportive place to stay when receiving medical treatment for cancer in a place away from home. There are 31 locations in the United States. HEADstrong Foundation: The HEADstrong Foundation provides complimentary housing for out-of-town patients and their families who are undergoing cancer-related treatment in the Philadelphia metropolitan area. 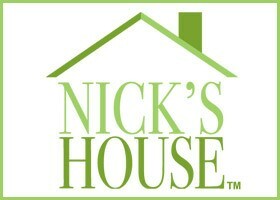 For other information and a video tour of the house, visit here: http://headstrong.org/hf-services/nickshouse/. 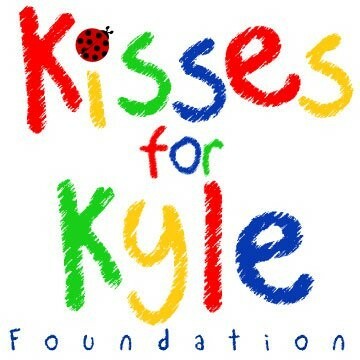 Request an application here: http://www.hostsforhospitals.org/website/guests/guest-application. 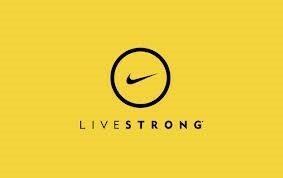 Or call the HEADstrong Foundation directly at 610-461-5987. Cancer patients should be ambulatory, able to walk unassisted to and from the vehicle, their residence, and the treatment facility. If the patient needs assistance walking or requires a walking aid (such as a walker or wheelchair), and is unable to operate the aid by himself/herself, the patient is required to be accompanied by one other person who can provide assistance. Patients under the age of 18 must be accompanied by a legally responsible adult such as a parent. One caregiver may accompany the patient on the ride. Find a program in your area: http://www.cancer.org/treatment/supportprogramsservices/road-to-recovery. Air Charity Network-Angel Flight Northeast: Since Angel Flight Northeast’s first flight in 1996, the mission coordinators have scheduled more than 65,000 flights. 1,000+ Volunteer Pilots have flown over 13 million miles providing more than 62,000 patients and their families free air transportation to medical care. They fly out of both small regional airports and major international airports. Patient Advocate Foundation (PAF): PAF provides patients with arbitration, mediation and negotiation to settle issues with access to care, medical debt, and job retention related to their illness. They also offer assistance to patients with specific issues they are facing with their insurer, employer and/or creditor regarding insurance, job retention and/or debt crisis matters relative to their diagnosis of life threatening or debilitating diseases. Seas It: Seas It provides the financial assistance and coordination necessary to connect cancer patients as well as caregivers with recreational activities geared toward mental and physical recovery. The Patient/Caregiver Grant encourages grant recipients to pursue activities that make them feel vibrant, positive, and in control during cancer treatments. Activities include, but are not limited to: biking, tennis, skiing, knitting, fishing, piano, theater, pottery, yoga, golf, hiking, surfing, team soccer, karate classes, art lessons. The Todd McGovern Legacy Grant is in honor of co-founder, Todd McGovern, and is awarded to one recipient annually who exemplifies Todd’s perseverance to fight cancer and live a little each day. This grant is larger in scope and funding. Mission4Maureen provides financial assistance to families who are burdened by the staggering cost of brain cancer treatment. Mission4Maureen, committed to Maureen’s belief that “everyone can do something”, assists qualifying brain cancer patients with everyday expenses. All Great Clips salons in the U.S. and Canada provide complimentary clipper cuts to customers facing hair loss due to cancer treatments through our Clips of Kindness® program. It’s a small gesture in the big fight against cancer. But, it’s Great Clips’ way of trying to make things just a little better. Customers who need a clipper cut due to cancer treatment are welcome to go to any Great Clips salon for their service. Customers who would like supportive family members or friends to receive clipper cuts can talk to the salon manager about details. Use the Salon Locator to find your nearest Great Clips. Our purpose is to provide free or low-cost lodging and support at volunteer-host homes as a caring response to the housing needs of patients and their families who come to the Greater Philadelphia area for specialized medical care. The Kevin Cain Memorial Foundation (KCMF) was established in April 2006 in memory of Kevin Cain, who lost his courageous battle with cancer in June 2005. Kevin is remembered as someone who made a difference in the lives of others by coaching youth sports and volunteering his time for worthy causes. Referrals to the Kevin Cain Memorial Foundation are received from area medical professionals in Delaware and Montgomery Counties, as well as personal referrals from members of the community. The Kevin Cain Memorial Foundation is committed to providing cancer patients and their families’ compassion, respect, and ultimately, hope. 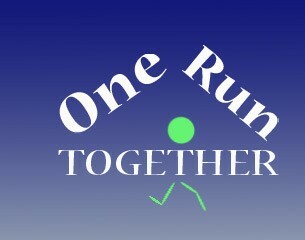 The mission of OneRunTogether is to financially and spiritually benefit local cancer patients. We are based in Texas but assist mesothelioma patients nationwide. For over 15 years, we have helped more than 1,000 mesothelioma patients with resources, information, and financial assistance. Mesothelioma + Asbestos Awareness Center is an online resource for mesothelioma patients, their caregivers, and advocacy champions. Our goal is to not only help those diagnosed, but to prevent future diagnoses by spreading awareness about the dangers of asbestos exposure. Symptoms of mesothelioma can mirror other lung-related diseases, so it is important to know the potential signs early for a better prognosis. If you are interested in learning more about mesothelioma, asbestos, and related issues, please visit our site and our blog. For over 15 years we’ve been helping families like yours connect with leading mesothelioma lawyers in their area. There are many law firms that handle mesothelioma cases, and your choices may seem overwhelming. We clear through the confusion and help you locate only the top lawyers. We pride ourselves on helping you make the right decision for you and your family. Fill out our form for a FREE Financial Compensation Packet. We’ll send you information on the leading mesothelioma and asbestos lawyers in your area; how to get paid in 90 days; how to file for your share of over $30 billion in asbestos trust funds; and more! We’re available to help answer any questions you might have. Fill out our Contact Form or call us toll free at 800-793-4540. We are experienced in helping asbestos victims across the country in all 50 states. The Mesothelioma Veterans Center was created to provide information and assistance to veterans regarding treatment, clinical trials, and VA benefits for veterans suffering from asbestos illnesses. The MVC was founded by retired veterans and veterans advocates who have helped hundreds of veterans get approved for their VA benefits after developing mesothelioma or asbestos related lung cancer from their asbestos exposure in the military. Mesothelioma Treatment Community of https://www.treatmesothelioma.org/ is dedicated to the assistance and guidance of asbestos and mesothelioma victims around the world. We exist to not only inspire hope during these unbearable times but to also provide palliative care and comprehensive information through our website, resources, and educational videos. By being the largest resource for mesothelioma treatment options and complementary therapies for cancer, we are designed to help guide patients and their loved ones toward the answers and support they need to improve their quality of life, prognosis, and life expectancy. Our mission is to help even the odds for families fighting this disease. We achieve that by providing you and your loved ones the most complete information about mesothelioma, new treatments and support. You’ve come to the right place. A Haven – We help children grieve through family centered support. Our mission is to partner with grieving families by providing support, outreach to our community, education and hope. We serve Chester County and beyond. Affordable Colleges Online is an organization that provides resource information for college students with cancer. Tuck Sleep is a research organization that has done in-depth work covering sleep disorders, tips for better sleep quality, and other sleep resources. For more information about how cancer can affect your sleep and ways to improve your sleep, please visit https://www.tuck.com/sleep-and-cancer/. Have any other questions? Call (206)-486-6465 to speak to one of their staff members. Mesothelioma Guide is an advocacy organization dedicated to helping patients diagnosed with asbestos illnesses. Our services and resources are 100% free to patients and family members. We also have a veteran and nurse on staff that can answer all questions many seniors and former veterans have concerning asbestos. Safe Harbor’s goal reaches beyond just feeding the homeless and providing housing. We seek to understand each person’s background, define short term action plans designed to address his or her challenges and needs, and monitor his or her progress. Our goal is to help rebuild lives and life skills, reestablish self-esteem, and help people overcome the issues that prevent them from leading independent, productive lives. The Shane Halligan Memorial Fund was established immediately after Shane’s death. Although they were not sure of how their donations would be used, our neighbors nonetheless supported us in our time of need. Now, we feel we have a responsibility to give back to those who so generously gave to us. The Shane Halligan Memorial Fund will help children throughout our community by offering the financial support they need to participate in sports, music, theatre, scouting and other activities. Quite simply, Shane’s fund will remove the financial obstacles that so often prevent children from following their dreams. Fiscal Tiger is a collection of writers and designers who are aware of the precious nature of your financial resources and the power they have in your life. They work together as a team in beautiful Boise, Idaho, to bring you world-class content that helps you maximize your money. Their work addresses that critical intersection of your life and your money so you can make the most of your financial resources. They do this by publishing well-researched articles and graphics that aim to help you make the most of your financial life. 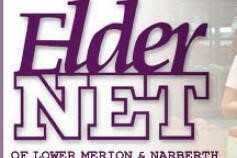 Eldernet: Eldernet is a non-profit that serves Lower Merion and Narberth in Montgomery County. Emergency financial assistance is provided to help with fuel, rent, food or other one-time financial emergencies. Volunteers provide rides for medical appointments, banking, shopping and other trips for those who cannot use public transportation. Philabundance: Serving low-income residents at risk of hunger and food insecurity, Philabundance provides fresh food through the Commodity Supplemental Food Program (CSFP). This program provides USDA_donated food to low-income seniors through monthly boxes of approximately 30 pounds of shelf-stable foods and fresh cheese. If interested, call 800-319-FOOD (3663). 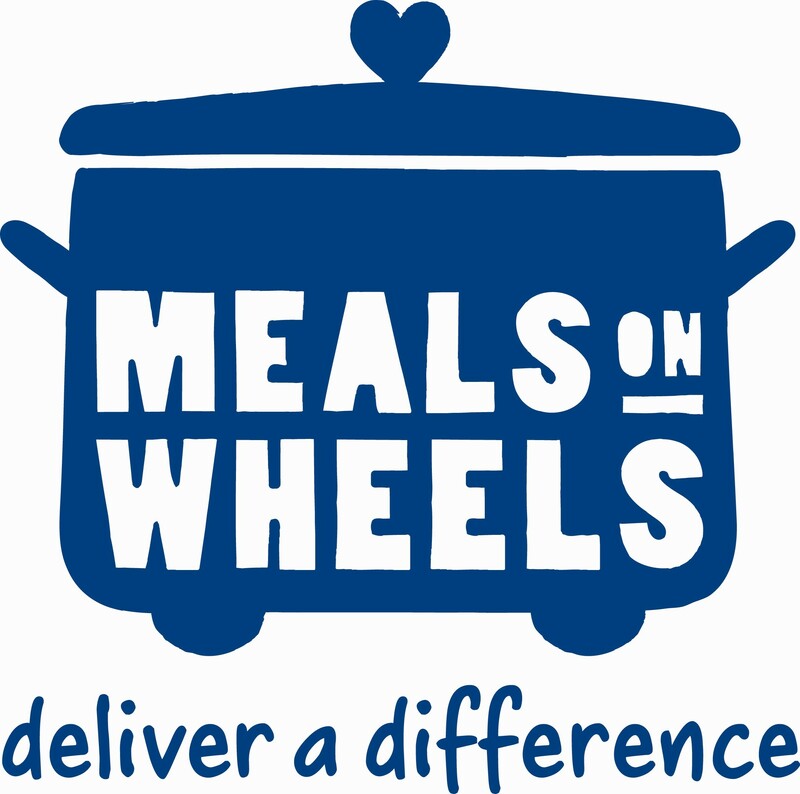 Meals on Wheels: The foundation provides meals for seniors who need them each day. To find a meal, visit this site: http://www.mowaa.org/findameal.